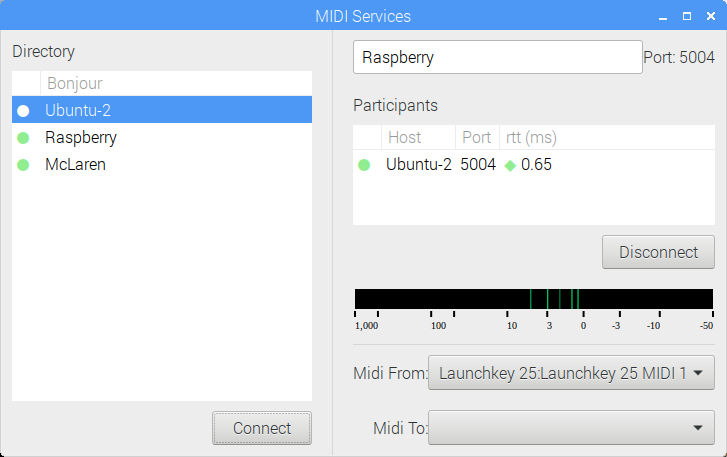 McLaren Labs brings MIDI and Musical applications to the Raspberry-Pi and Ubuntu computers. Our aim is to make music-creation more fun on inexpensive and small computers. We pride ourselves on our apps offering high quality and high performance by using the latest multicore technologies. Our flagship product, rtpmidi, lets you send MIDI messages over a computer network using WiFi or Ethernet. The rtpmidi protocol is already build into Mac computers, so this utility makes it easy to network your musical Raspberry Pi with your Mac. It is also possible to use rtpmidi with PCs and Android devices, because this protocol is available on those platforms too. We also give away some small Apps. These are just for fun! Read about one of them here: Pi-Organ-Synth. This application was built from the ground up for the Rapsberry Pi Model 3B+ and is available for free to the Rapsberry Pi Community. Network MIDI lets MIDI-enabled software communicate by sending packets over your network. Just as file sharing enables one computer to use the files on another, Network MIDI enables synth-sharing over a network. Use this when your synth computer is already hooked up to your audio system and you want to use a MIDI keyboard or controller that is on another computer. 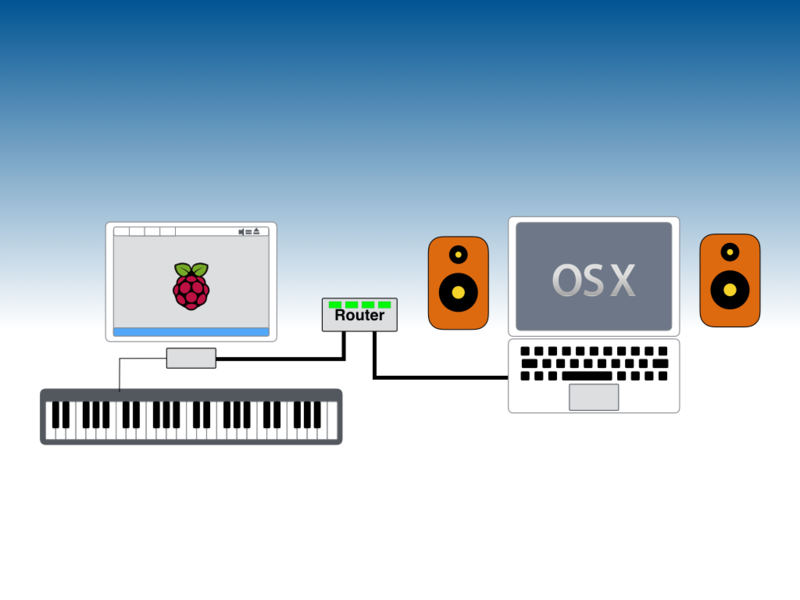 Because Network MIDI is built into Mac OSX, you can use a Raspberry-Pi or Ubuntu Linux computer to send MIDI information to your Mac. This allows you to "play" Mac synths from your Pi. You can also use a cheap Linux computer to "bridge" USB-MIDI keyboards and controllers into your Ethernet network. Why RFC-6295? RFC-6295 (alsa known as RTP-MIDI) is a special protocol for MIDI information. Other systems (like OSC, for one) use either UDP or TCP protocols directly. UDP packets have low latency, but their delivery is not guaranteed. TCP messages are guaranteed to be delivered, but system buffers can introduce unmanaged delay. RTP-MIDI is built using UDP packets but introduces a music-friendly error-correction algorithm. This algorithm detects when UDP packets have been dropped and recovers the information in a musically-friendly way. This means that if a Note-OFF packet is lost, that note will not stay "stuck on." The protocol will detect the missing Note-OFF and recover. This method gives the best experience for live performance. the Why: Network MIDI lets MIDI-enabled software communicate by sending packets over your network. 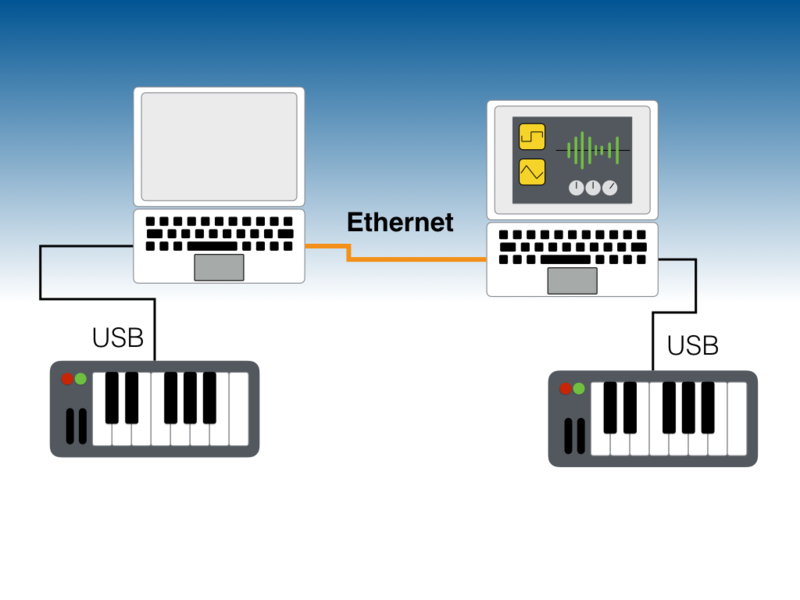 With rtpmidi you can connect connect Synthesizers, Keyboards and other Controllers using Ethernet instead of old-fashioned MIDI cables. the How: The McLaren Labs rtpmidi program can be used as a Slave or a Master. As a Slave, it can accept incoming connections from other Network MIDI participants. As a Master, it can initiate connections to other Network MIDI participants. 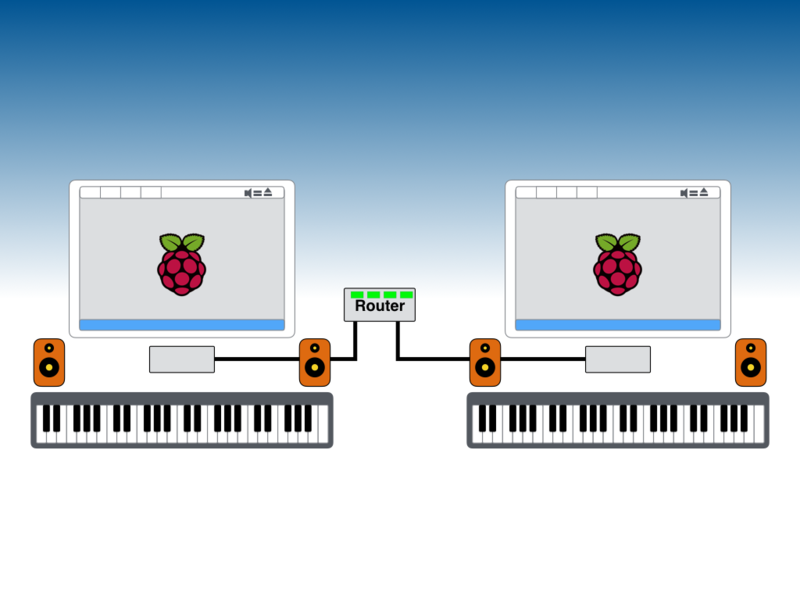 ALSO: Because Network MIDI is built into Mac OSX, you can use a Raspberry Pi or Ubuntu Linux computer to send MIDI information to your Mac. This allows you to play Mac synths from your Pi. For detailed information, you can read the Installation Guide and User Manual. Download these free tiny Apps from McLaren Labs and have some fun!